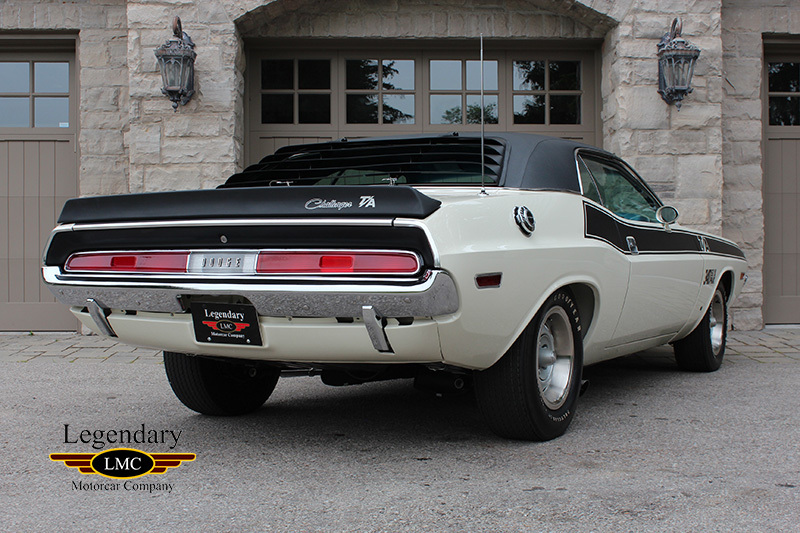 Click any thumbnail below to display the 1970 Dodge Challenger TA slide show. 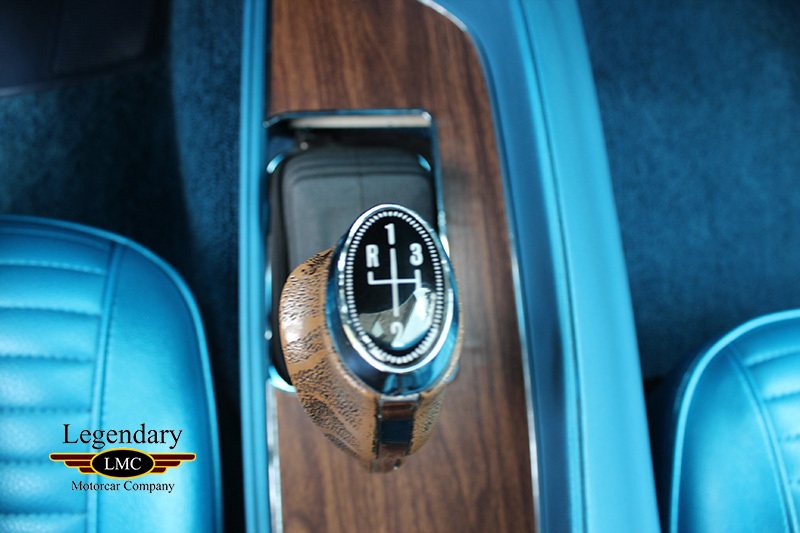 With the introduction of the new Challenger in 1970, Dodge had finally entered in the pony car market. 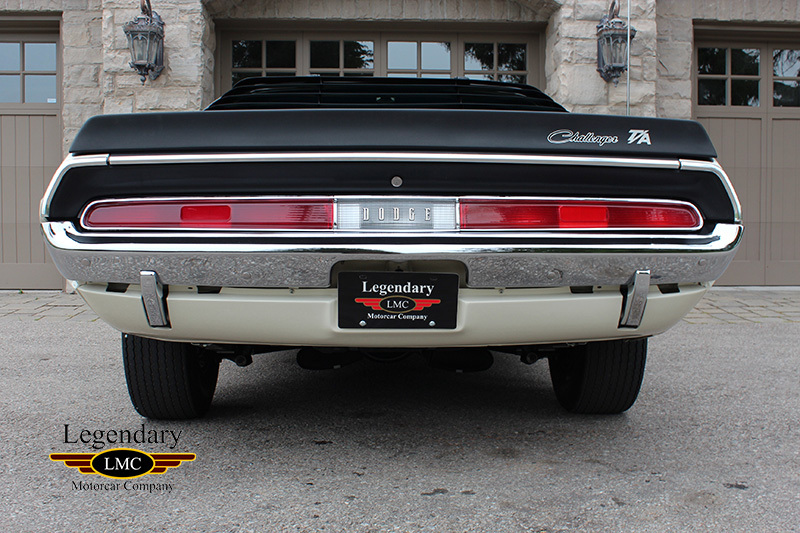 The new Challenger gave Dodge the opportunity to enter a new platform in the SCCA Trans-Am series which was being dominated by General Motors and Ford. 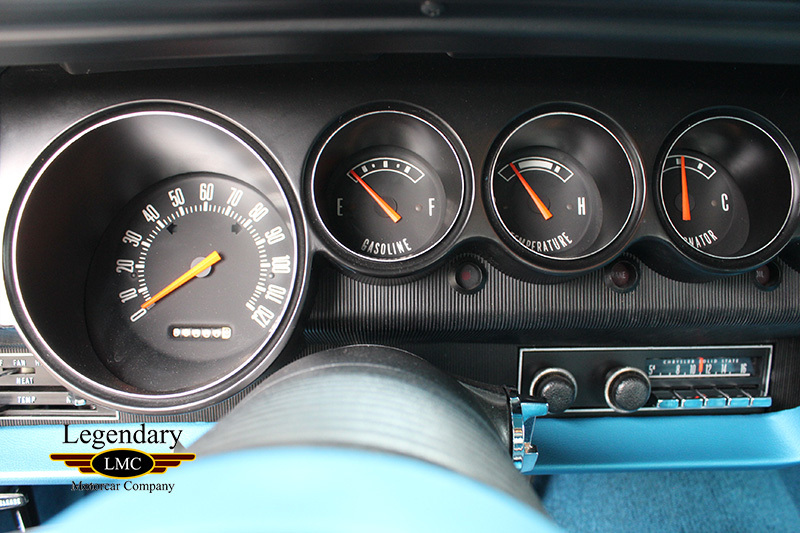 The Trans-Am racing series focused on factory pony cars racing on road courses which quickly gained steam in 1967, when the Mustang and A-body Barracuda suddenly had competition from GM with the Camaro and Firebird. 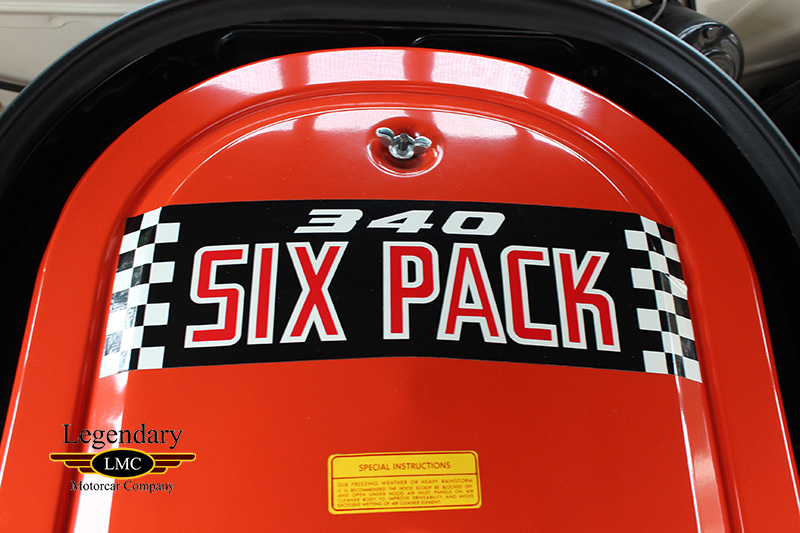 Add to the fact that some of the greatest drivers of the era like Gurney, Foyt, Donohue, Savage, Follmer, Posey and Parnelli Jones, and you've got a race series worth watching. 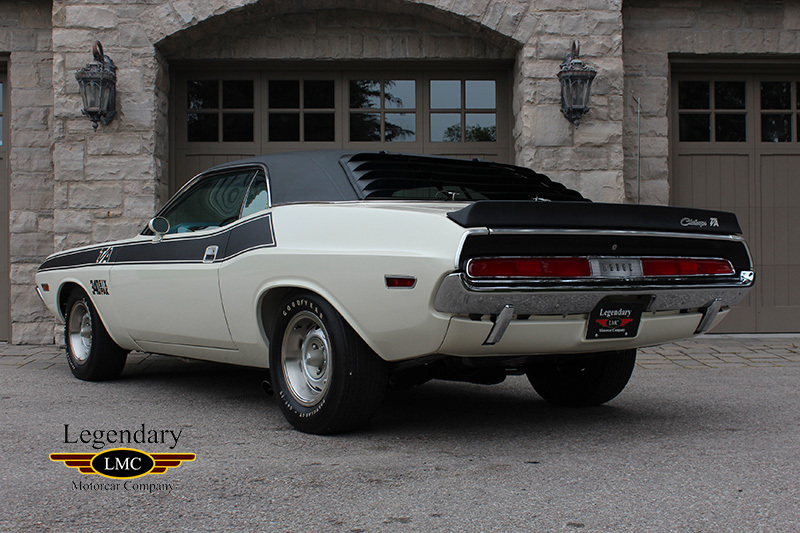 The 1970 Dodge Challenger was unique from its competitors in the marketplace. 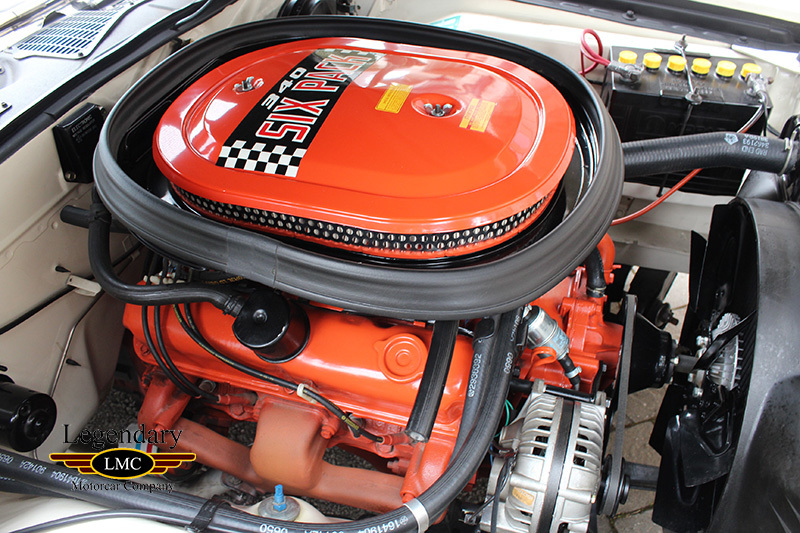 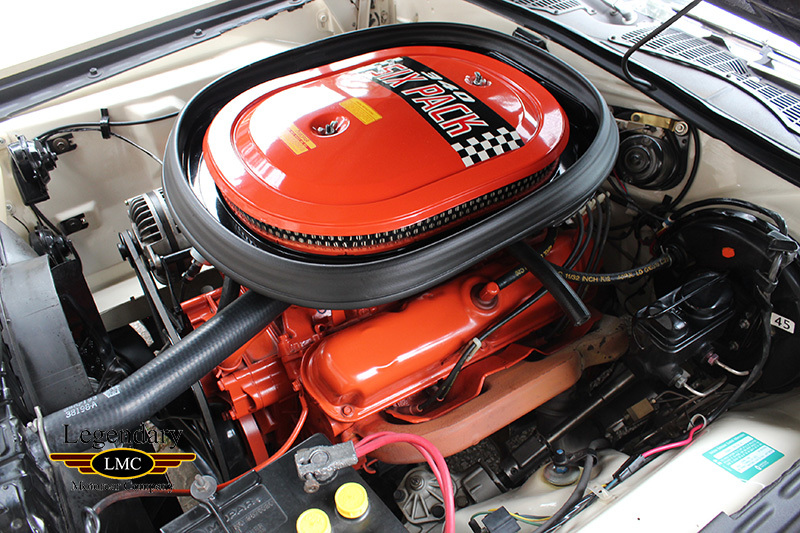 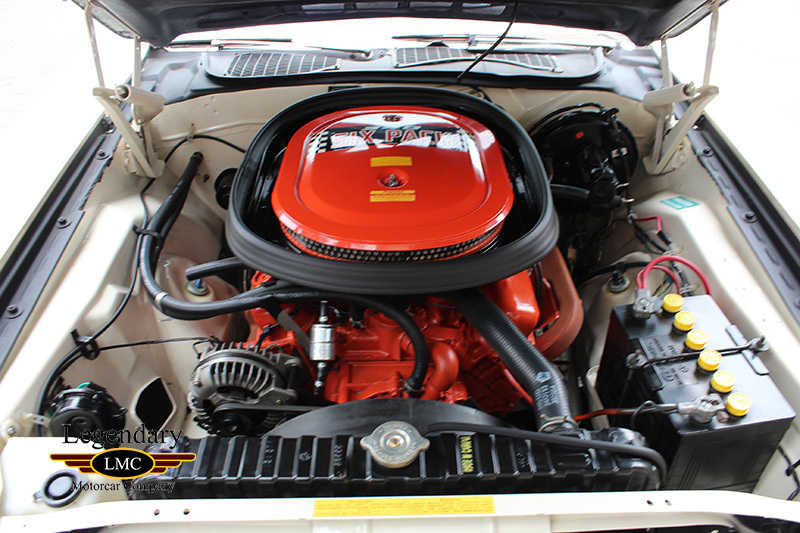 It was offered in every class of trim, with every engine package Mopar offered from the basic 6-cylinder coupe to the highly optioned R/T-SE Hemi. 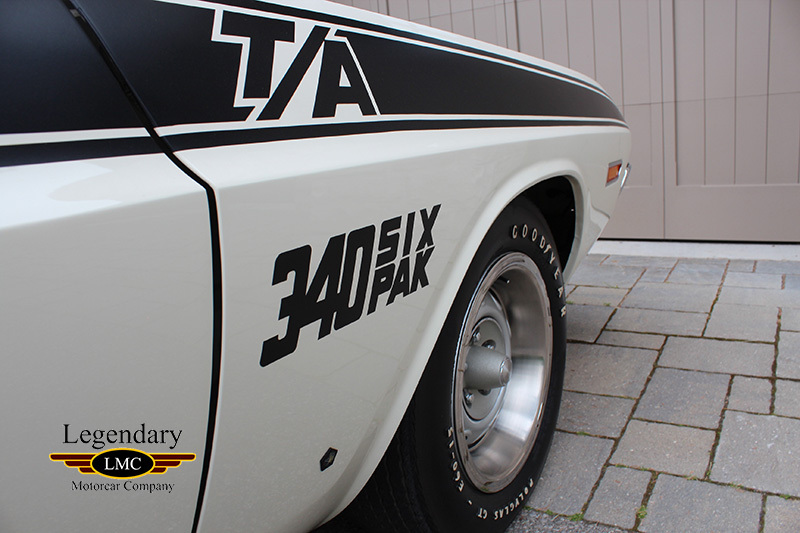 Out of all the available packages, the limited-edition T/A was the one to have if you preferred handling to just straight-line performance. 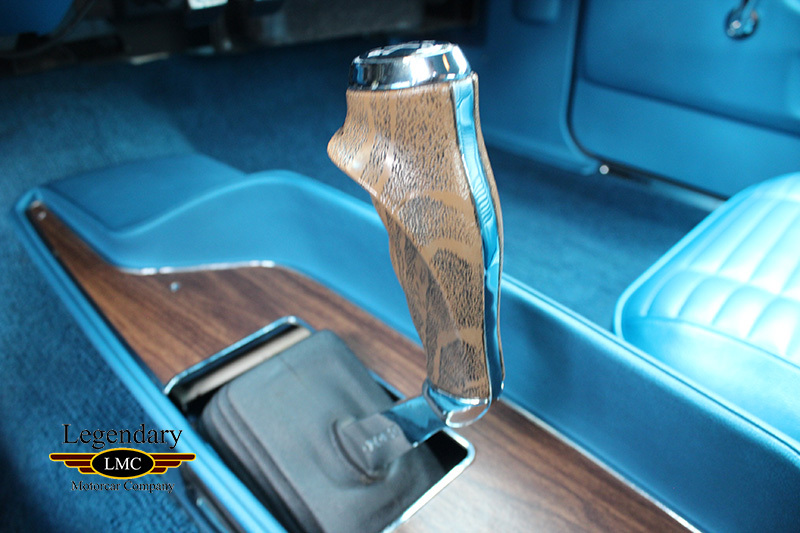 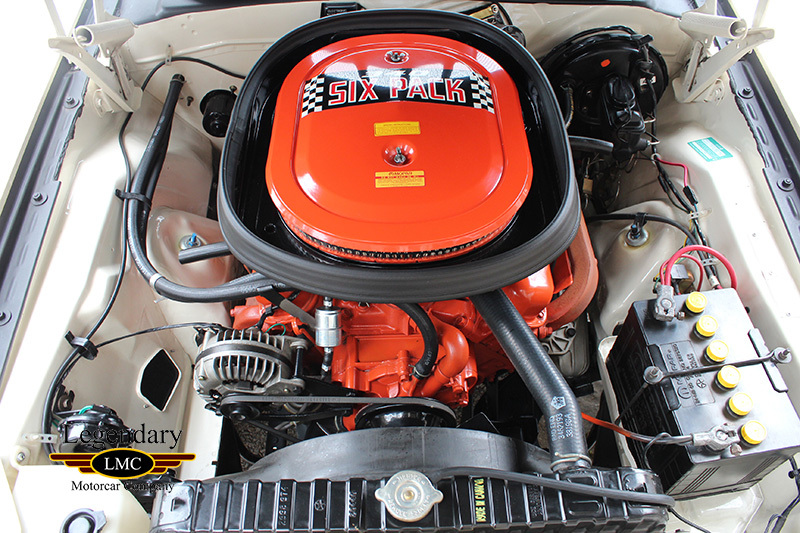 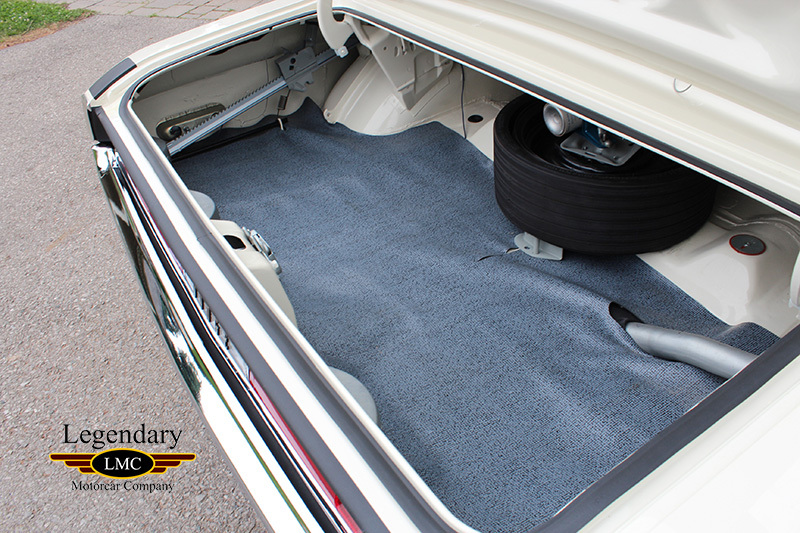 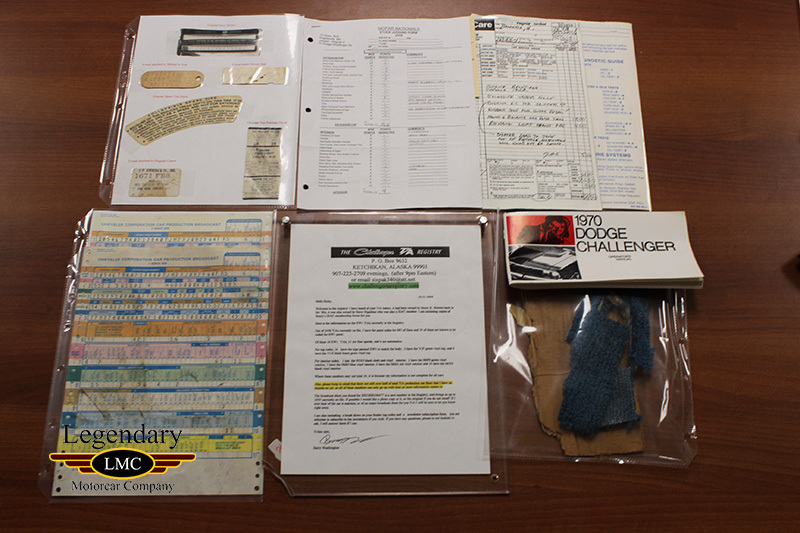 The T/A option package mandated some special pieces that would help the Challenger compete in the Trans Am series. 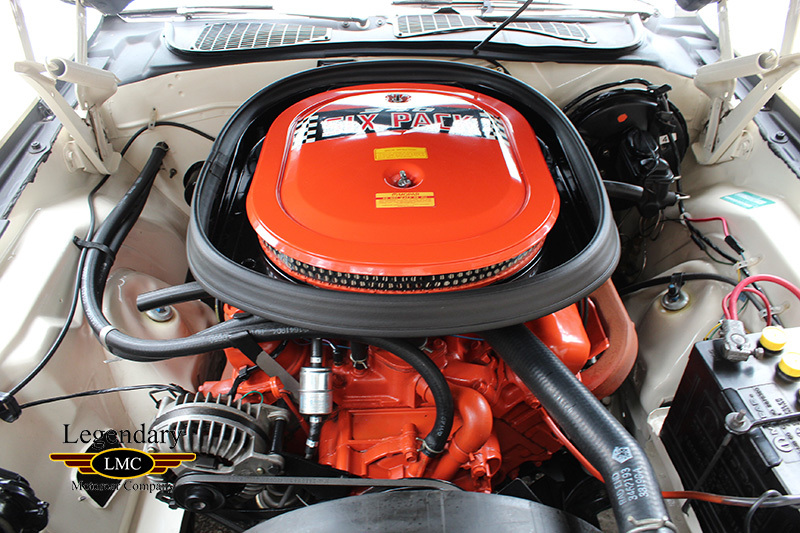 The T/A was powered by a 340 cubic inch Six Pack which boasted 290 hp backed by 4 speed transmission and Hurst Pistol Grip shifter. 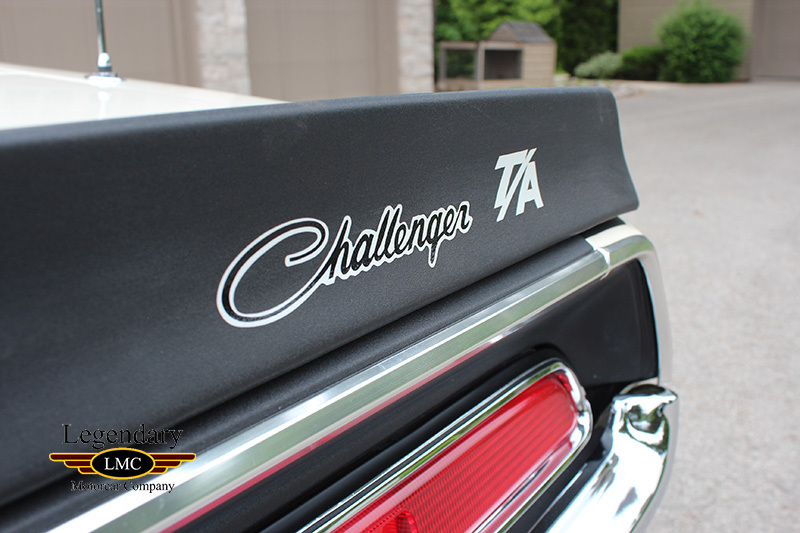 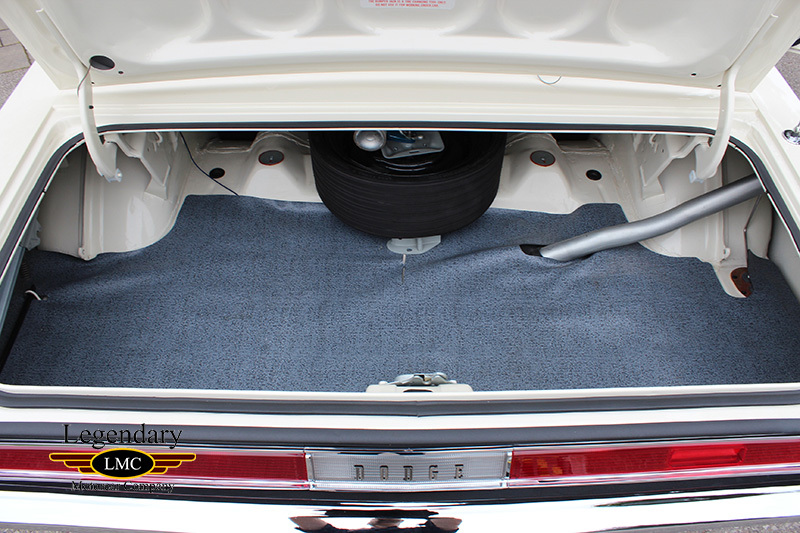 Under code A53, T/A Challengers also received a scooped fiberglass hood, a decklid rear spoiler, front chin spoilers, heavy handling-oriented suspension changes similar to what Hemi models received and special graphics. 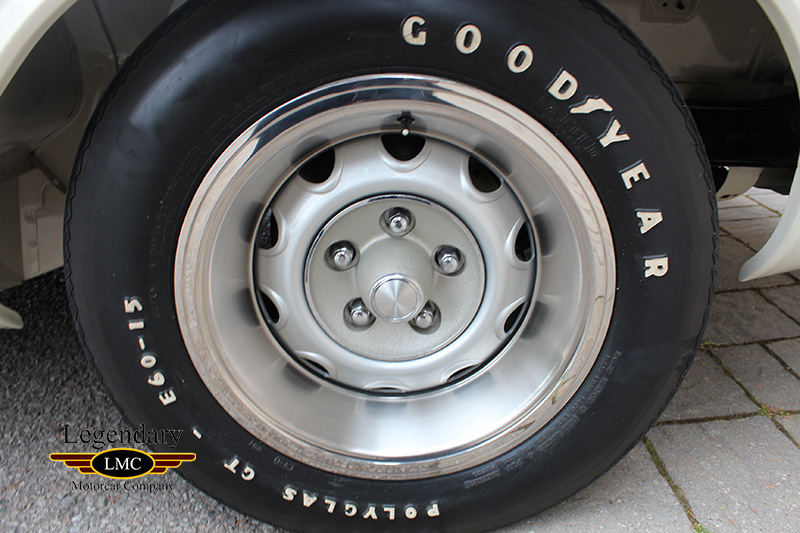 These cars also were exclusively optioned with 15-inch wheels with two tire sizes (Goodyear Polyglas E60-15 front and G60-15 rear), mandating the Hemi-type front fenders and a special rear-mounted radio antenna. 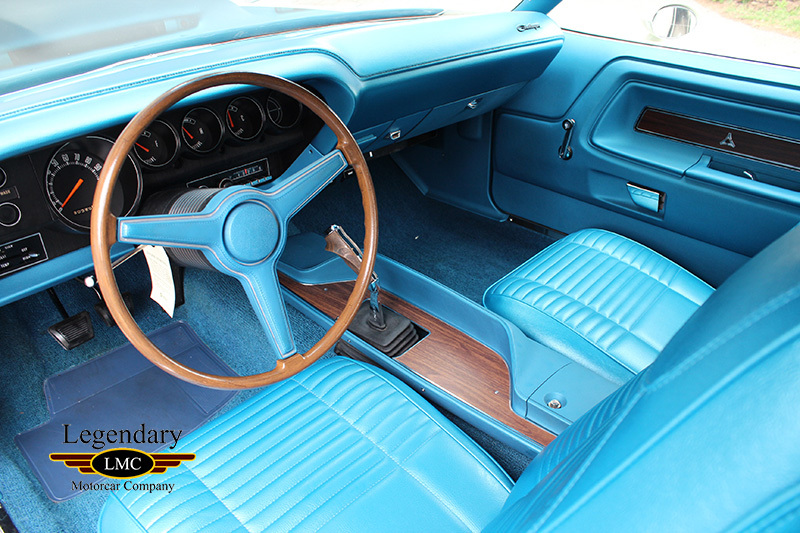 This particular 1970 Dodge Challenger T/A is equipped with a numbers matching 340 TA six-pack engine and a numbers matching 4 speed pistol grip transmission. 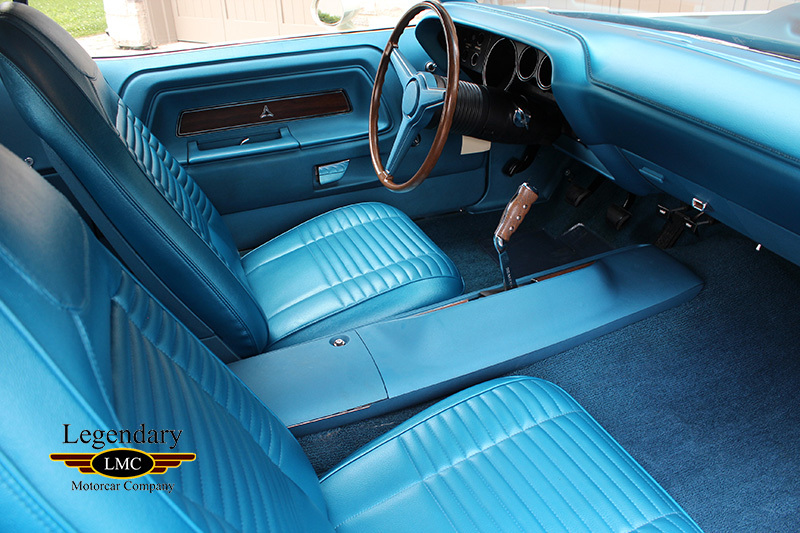 This is an ultra-rare combination of EW1 white exterior complimented by an unusual B-5 blue interior. 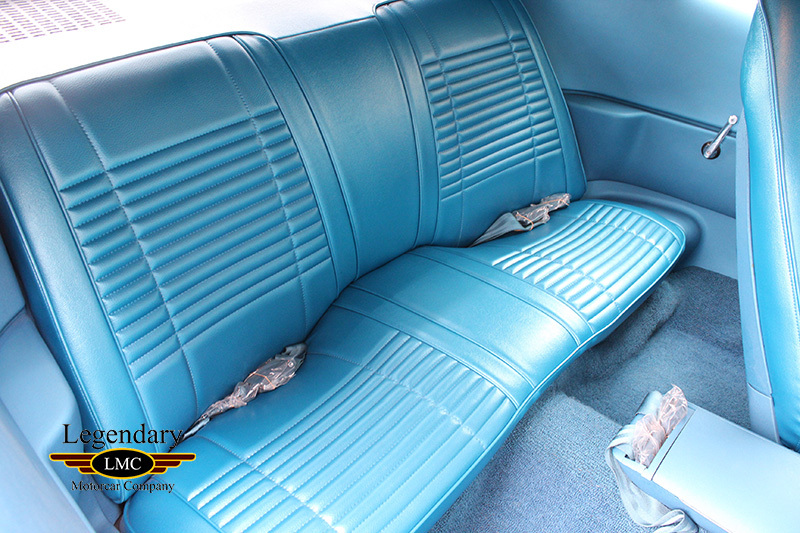 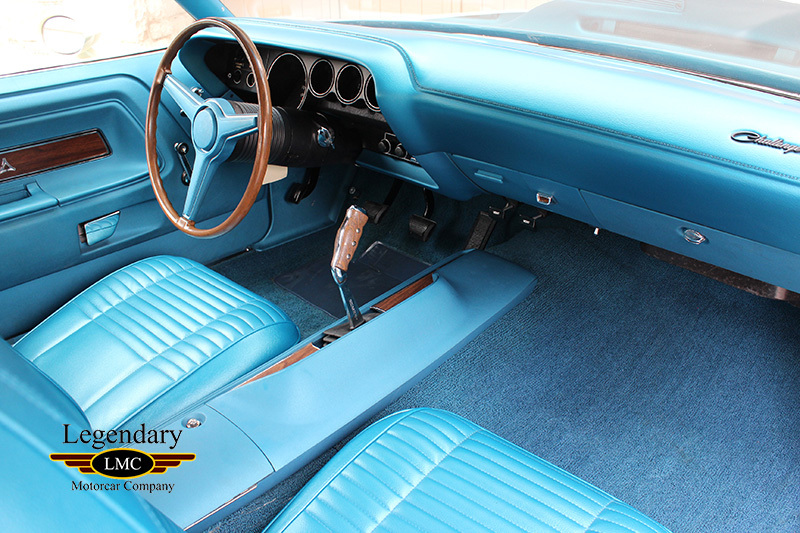 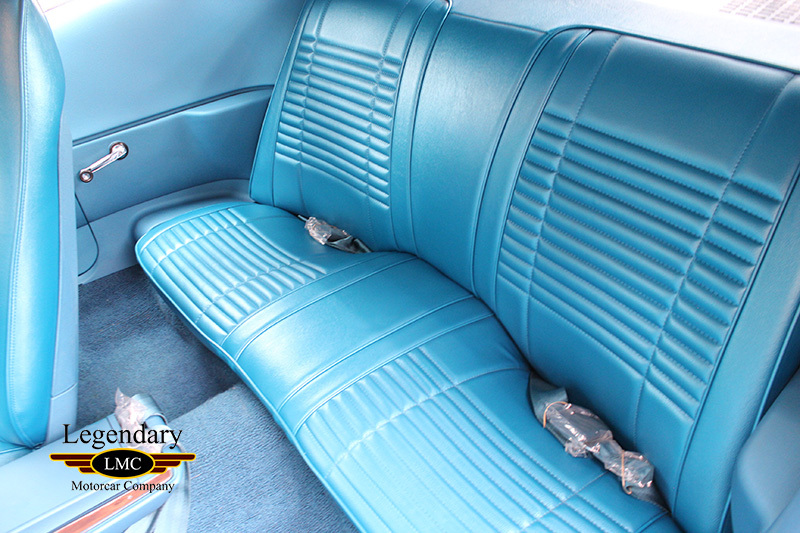 It is believed to be one of only 3 white cars built with the B-5 blue interior. 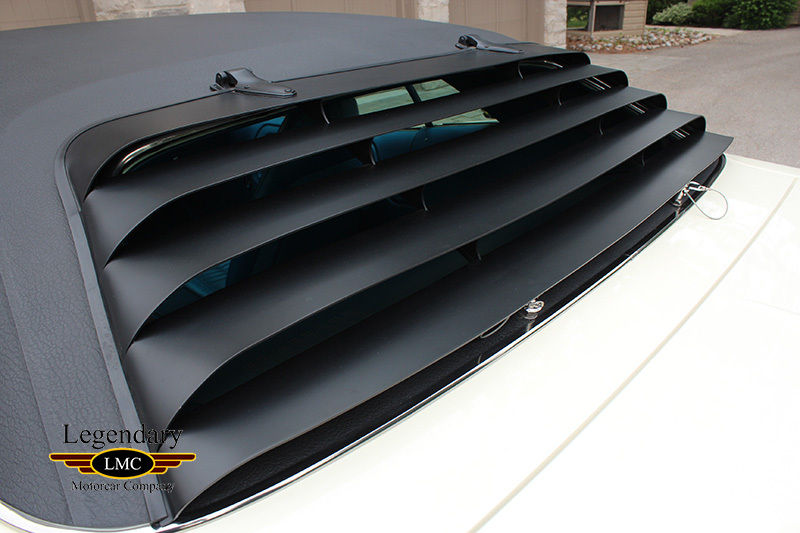 As well this is also an original rear window louver optioned car which is very rare in itself. 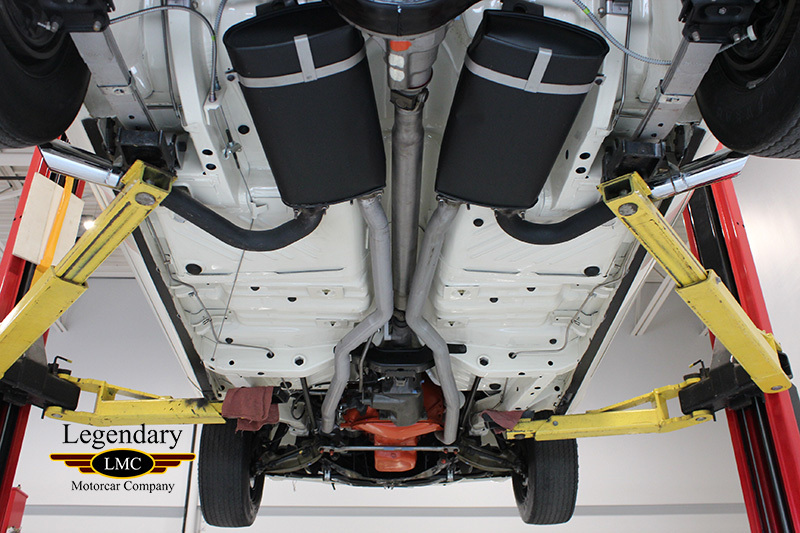 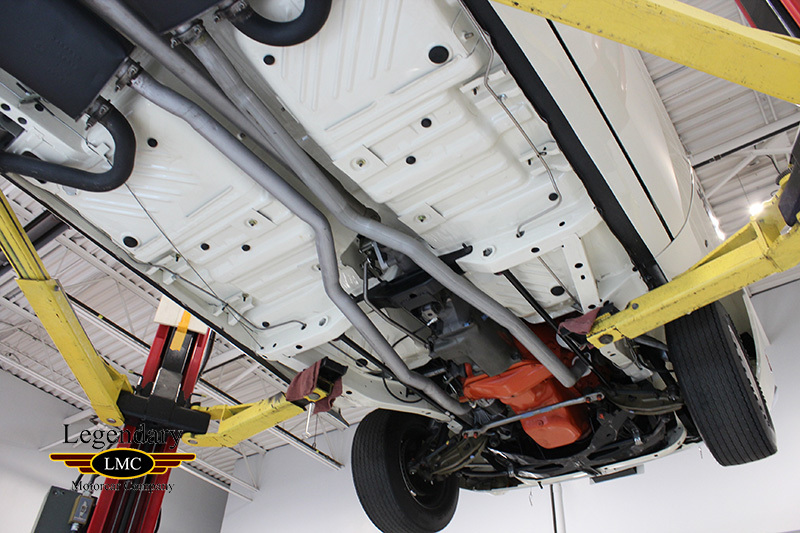 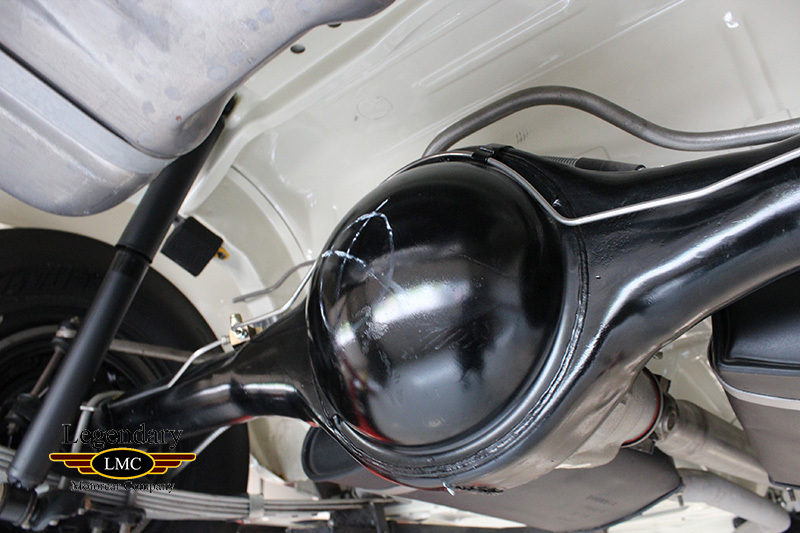 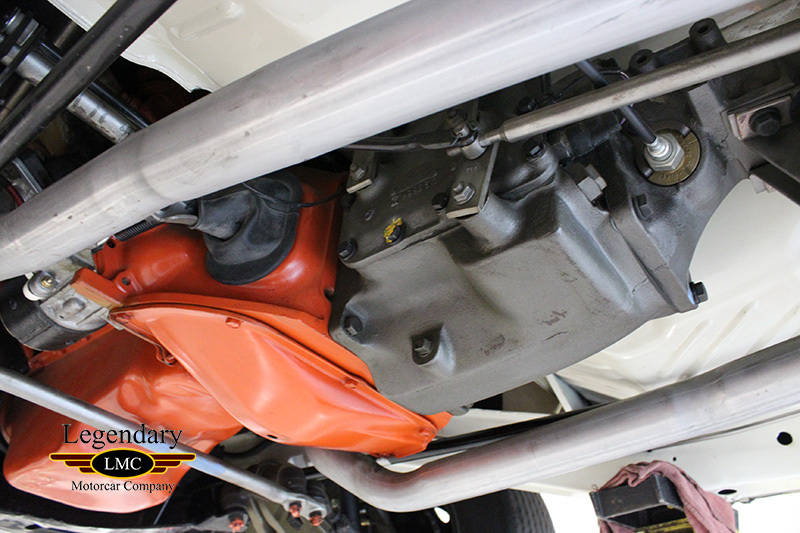 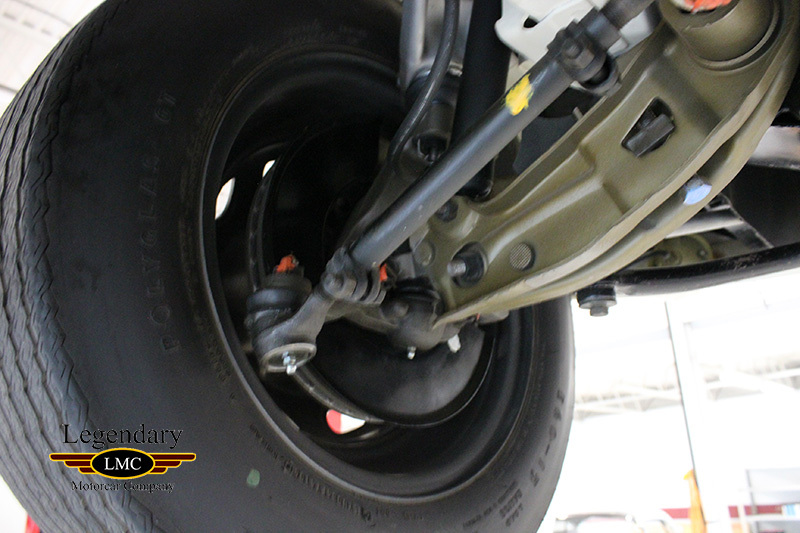 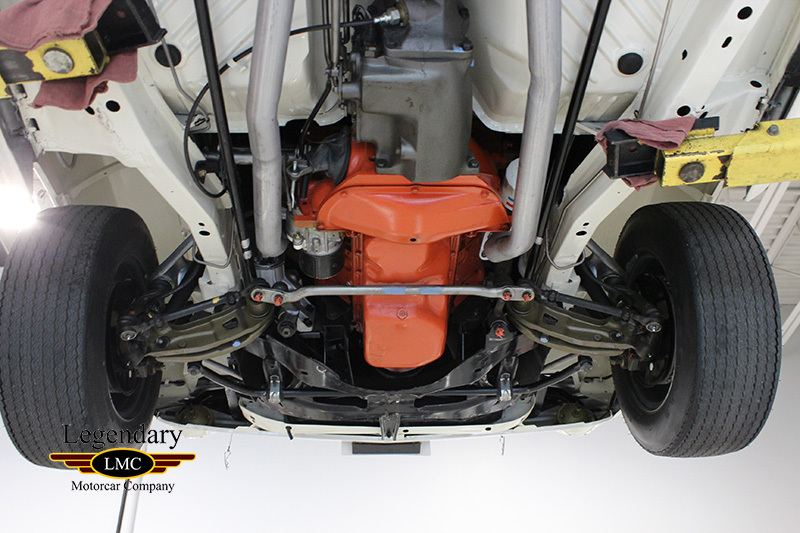 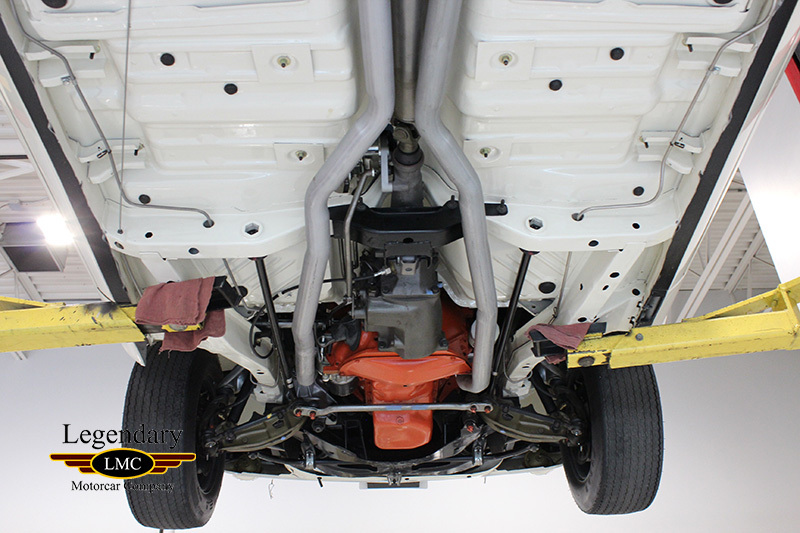 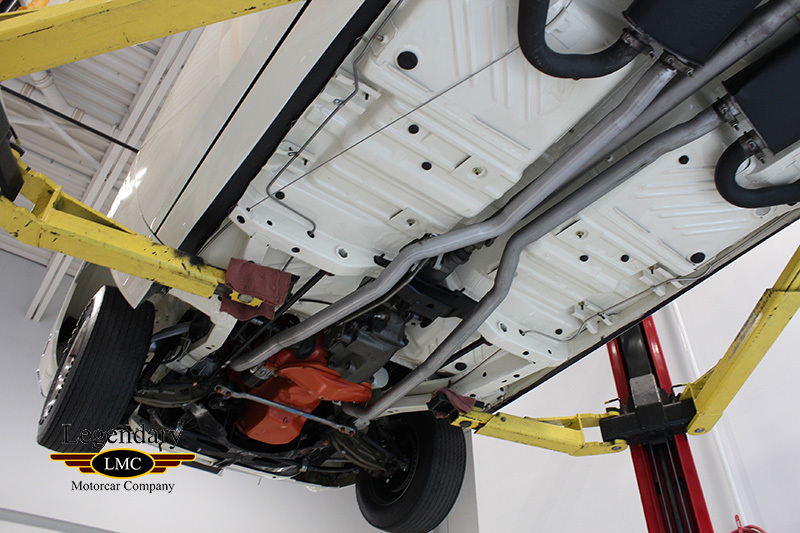 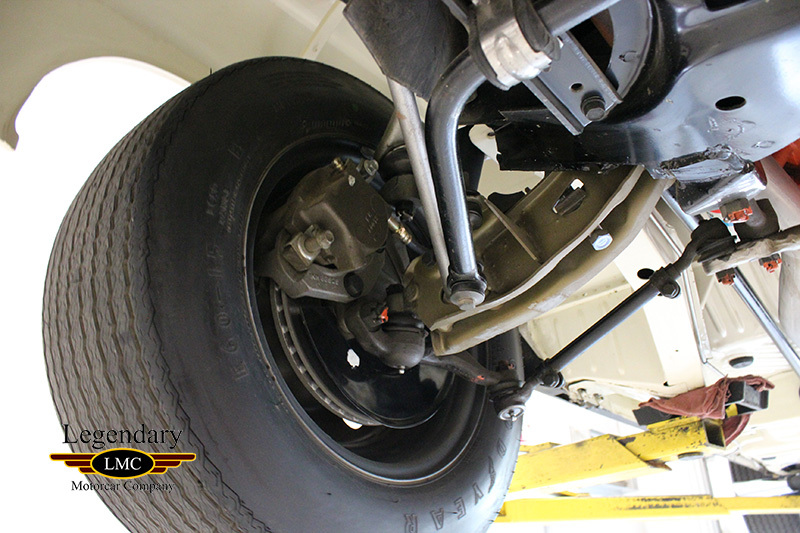 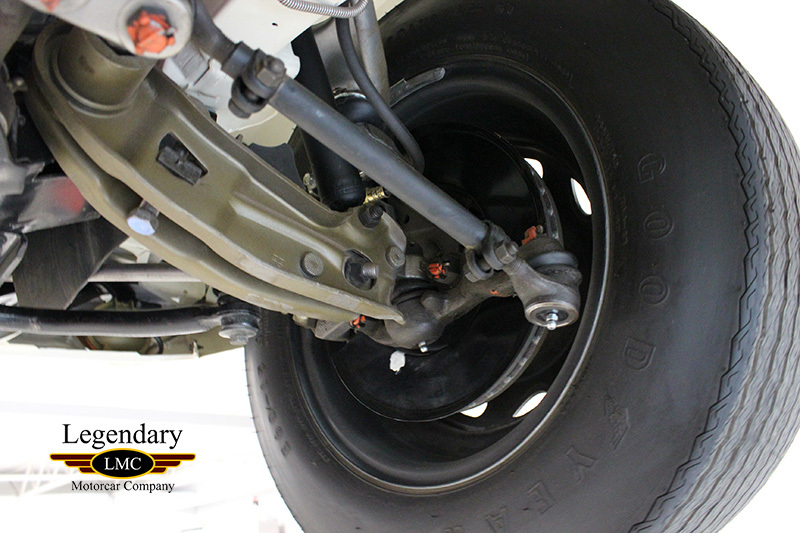 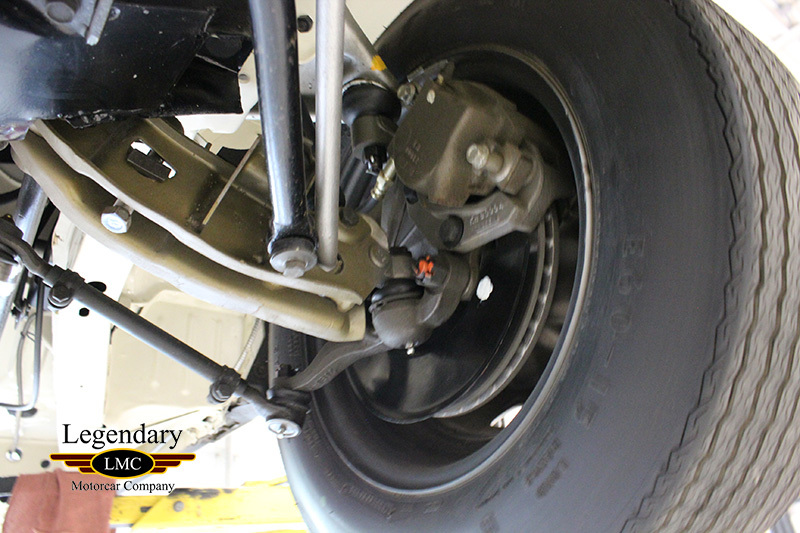 It has undergone a complete rotisserie restoration to OEM specifications using NOS and date coded parts where required. 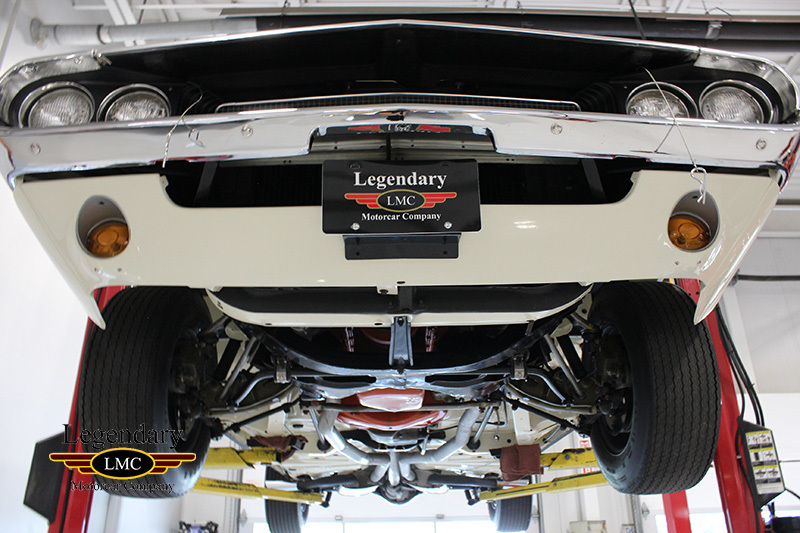 Not only are they pre restoration pictures but also of the whole restoration process. 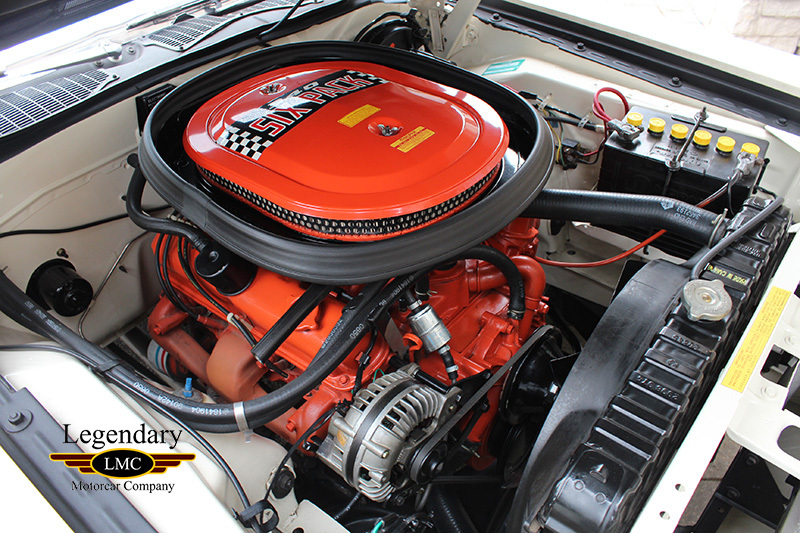 It documents with pictures throughout every stage of the restoration to show the quality workmanship. 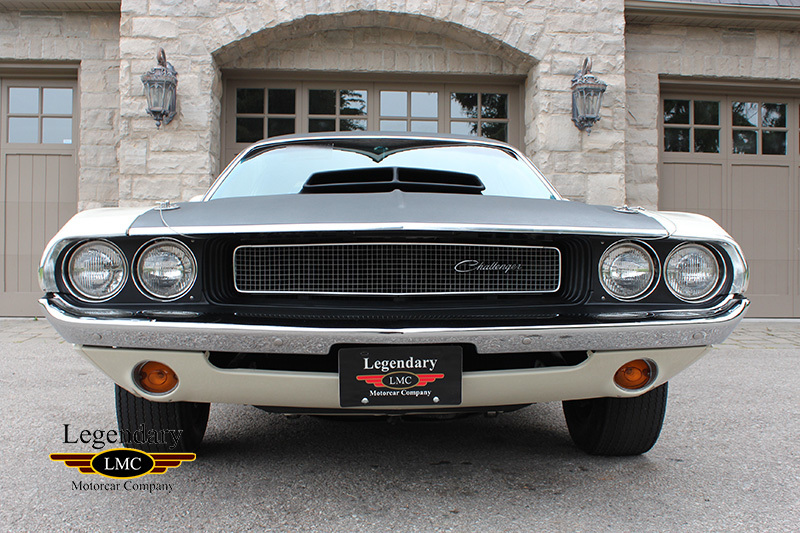 It has also been documented in the Challenger T/A registry and has a documented owner’s history. 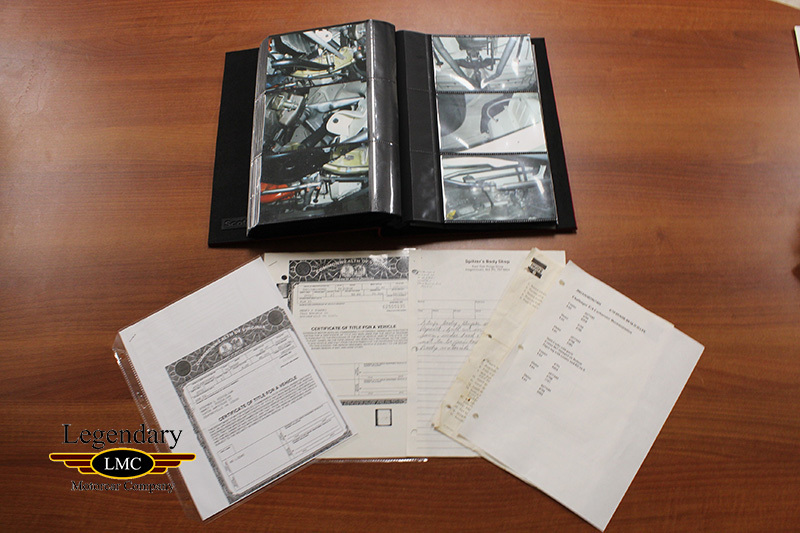 This T/A has extensive paperwork that includes: Ownership History, copies of old titles, period pictures of the car, Restoration Documents, Original Decals, Repair/Restoration Invoices, Mopar National’s Judging Sheets, Owner’s Manual, Factory Broadcast Sheet plus much more. 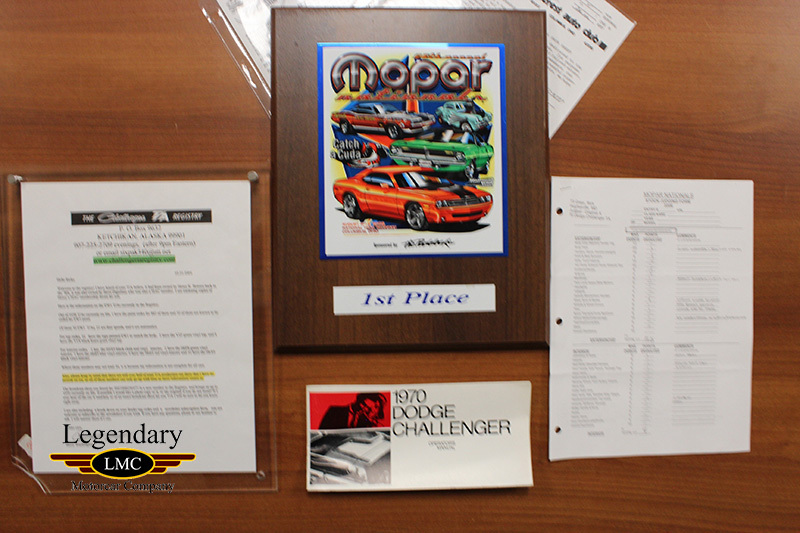 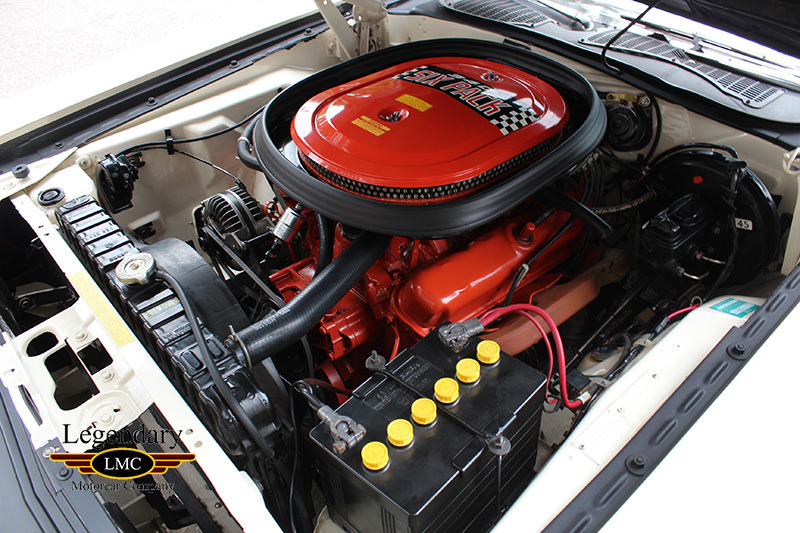 This car’s extensive paperwork and restoration has lead it to win 1st place at the Mopar Nationals judging event. 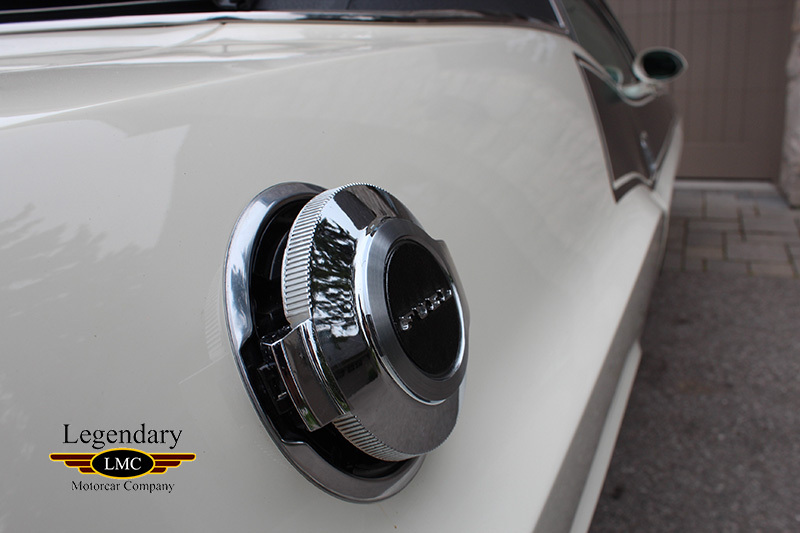 This is a very rare American icon, with it being likely 1 of only 3 produced in this combination. 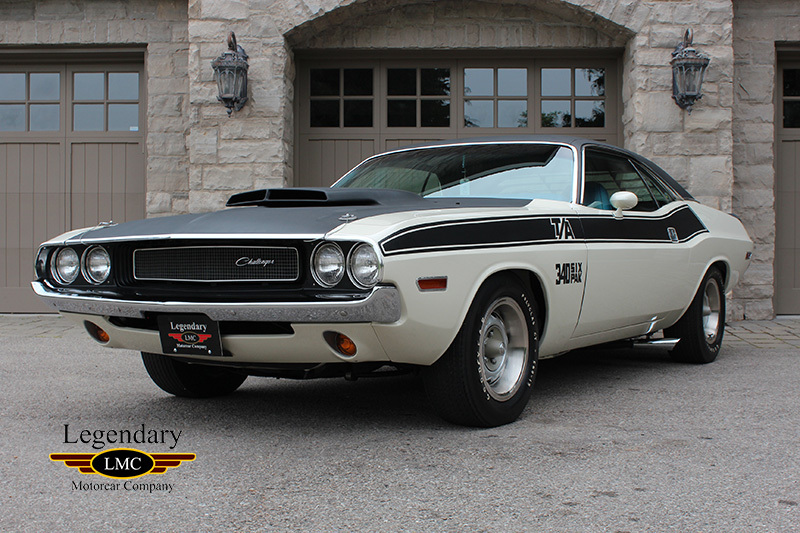 With its extensive paperwork and concours level restoration, this Challenger is a collector grade investment. 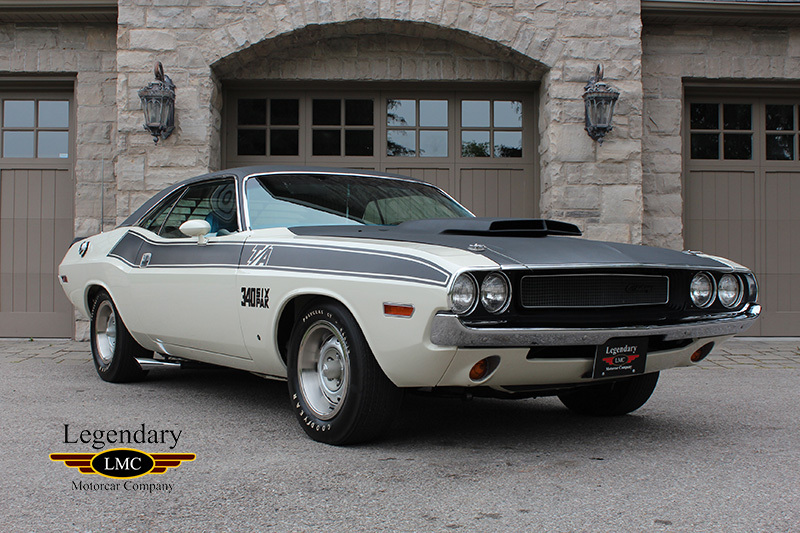 Being a numbers matching drivetrain and a unique color combination, this Challenger T/A is the perfect car for the Mopar enthusiast who can appreciate the rarity and collectability of such a car. 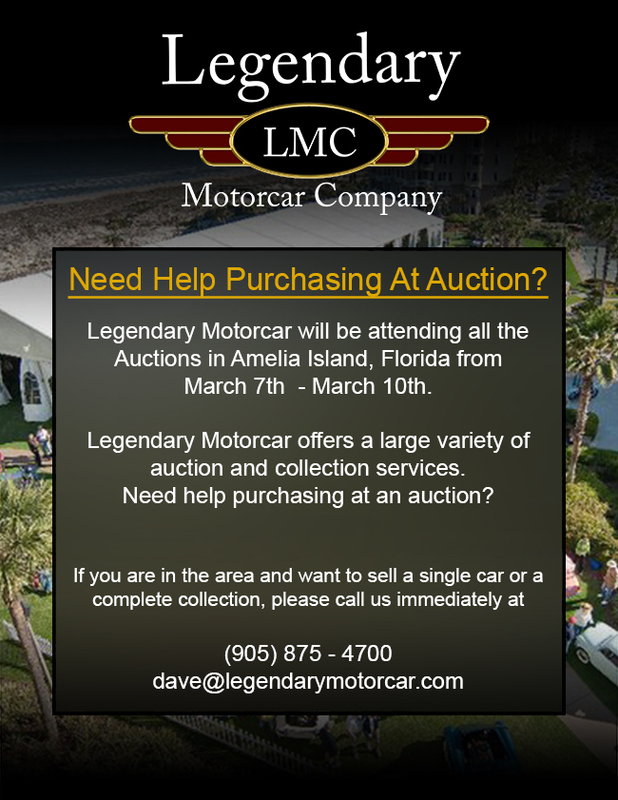 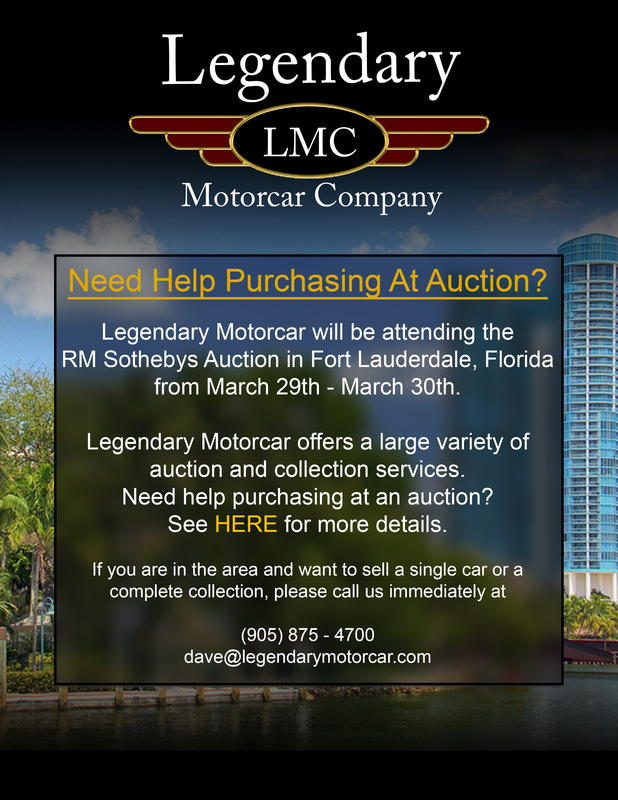 This vehicle is offered by Legendary Motorcar Company on consignment. 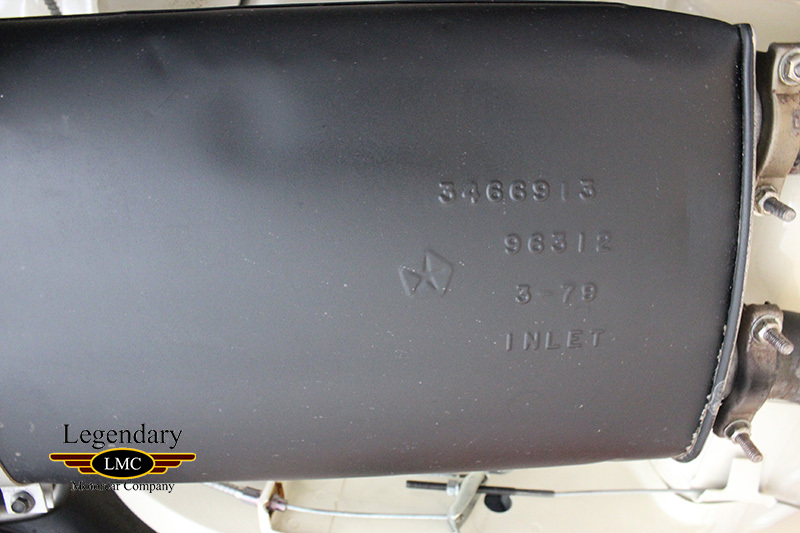 Legendary-Motorcar-Company-Ltd-2017-057 Dodge 1970 Dodge Challenger TA 2017-057 110000.0000 Legendary Motorcar Company Ltd.